Last week, we went way the hell back in time to look at Frankenstein, a timeless horror classic that I like to revisit pretty much every Halloween. But it’s not the only one – indeed, I don’t think any retrospective of the 1931 classic would be complete without looking at this week’s film. It’s been a long time since I looked at two films in the same series (The Terminator films back in April), but I certainly wasn’t about to pass on this classic. 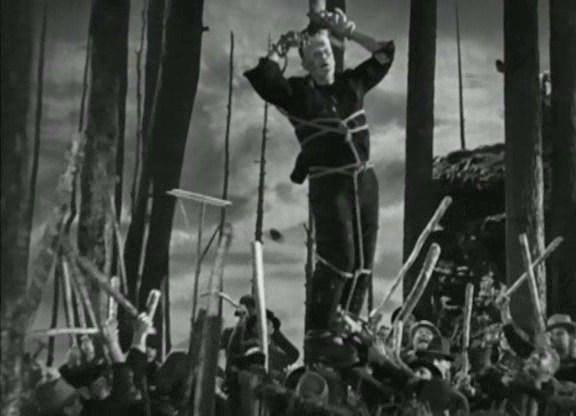 Produced By: Carl Laemmle, Jr.
Frankenstein was a monster success in spite of its censorship issues. While the immediate effect of its success (and Dracula from the same year, to be fair) was that Universal Pictures heavily invested in monster movies, spawning a genre that produced several icons of cinema, it did eventually lead to sequels and crossovers. But while it’s easy to look at things like Abbot and Costello Meet Frankenstein and roll your eyes (not that you should, the film is hilarious), the immediate sequel is a classic in its own right. 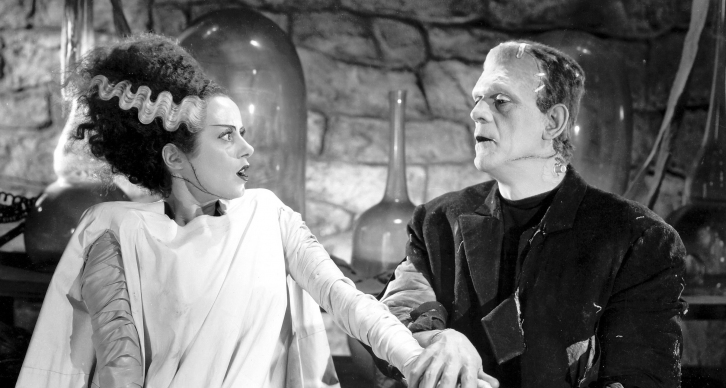 The Bride of Frankenstein is every bit as iconic and must-see as the first movie. 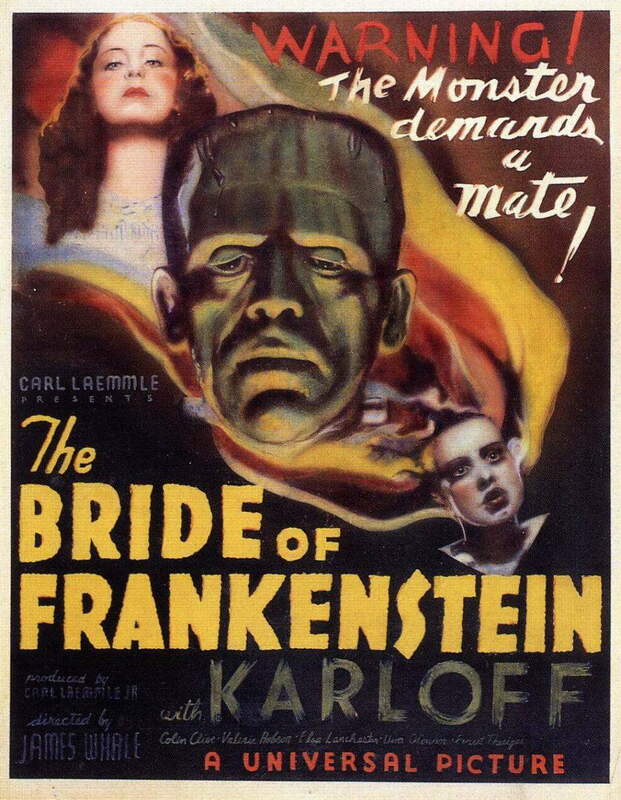 Loosely based on a tangential plot element in the book where Frankenstein’s monster demands that a partner be made for him, the movie promises to make another living creature from the dead Frankenstein’s Bride. But while that may be the title, most of the film is dedicated to the trials and tribulations of the monster, who survived the mill fire at the end of the first movie and is trying to find his place in a world that hates him. And like I said, it’s a masterpiece. I also feel like putting up a very clear SPOILER WARNING on this analysis, since the movie’s themes are nearly impossible to discuss without covering the whole movie. Bride excels in many of the same ways the original did. It’s still a moody gothic horror movie, still stylishly campy, and uses another framing device to get the audience in the proper mindset (this time a scene between Mary Shelley and Lord Byron). It continues the stories of Dr. Frankenstein’s obsession with creating life and the monster finding his way in the world. But it also differentiates itself, in no small part because it is willing to have a few laughs along the way, and some real tragedy as well. The biggest distinction is that the film is much more sympathetic in this one. While Karloff’s performance in Frankenstein had plenty of pathos, this one really dives into the implications of the first one. The monster’s persecution from the villagers is the main plot, and the tragedy comes from him becoming increasingly aware of and saddened by their hatred. He endured an almost Christlike journey, including a near crucifixion from the angry mob. 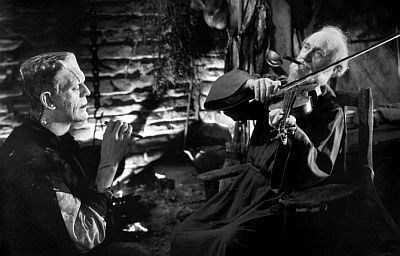 But where things get really interesting is when he meets a blind hermit, who befriends him and teaches him to speak. When that goes south thanks to interference, the monster starts to long for a return to death and a friend who can make his reanimated life bearable. Fortunately for him, he’s not the only one interested in making a mate. 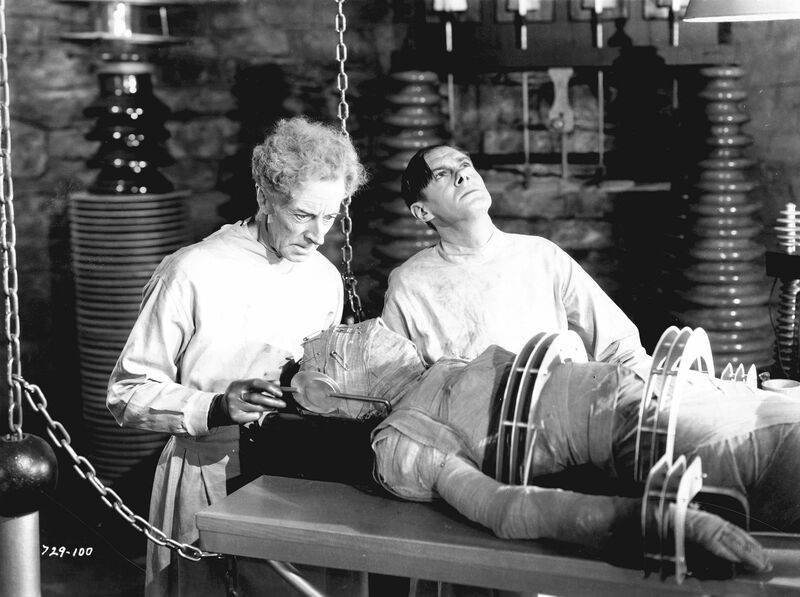 The film’s secondary plot revolves around Henry Frankenstein meeting an old mentor, Dr. Praetorius. While Henry at first wants to put the experiment behind him and focus on his marriage, he gets drawn back into it by Praetorius’ suggestion of creating a female monster. And by the time he decides to back out, Praetorius has the monster on his side to force him into recreating his experiment. These dual storylines continue the themes established from the original: Dr. Frankenstein is a man whose life is ruined by his macabre obsessions and Praetorius is that ego unchecked by empathy. His monster is a creature with feelings and thoughts but is rejected and hunted by humanity at every turn except for one case. While this combination of misunderstood and persecuted monsters makes for compelling characters in any circumstance, perhaps the definitive interpretation of the work comes through reading the film through the lens of Queer Theory. I’m not an expert on any particular film theory, and I recommend looking into other people’s work on this to real dive into the film’s Queer themes. But it interesting to me that the defining relationship for both the Doctor and the monster is with another man – Frankenstein and Praetorius are scientists working together to create life (i.e. two fathers), and the monster only finds acceptance from another outcast who doesn’t see him as a monster and refers to him as a beloved companion and friend (something the monster also calls the Bride). Taking a look at these instances along with James Whale’s own sexuality makes a convincing case that these elements cannot be ignored. This isn’t going to be a very long section, because there’s really nothing majorly wrong with this movie. 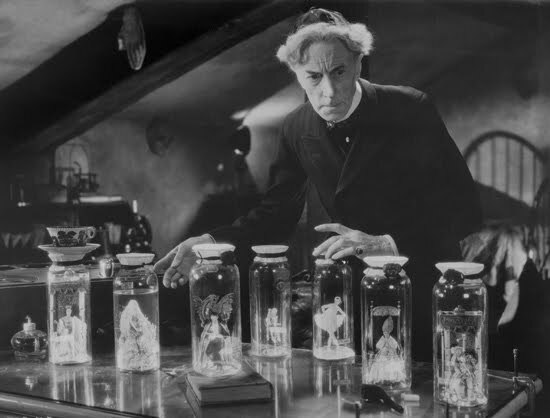 That being said, I have always found the scene where Pernasius introduces us to his homunculi to be really, really weird in an unpleasant way. I get the narrative purpose, it is kind of amusing in a film that is meant to be more humorous, and it’s an impressive effects showcase. But it still bothers me, it takes too long, and I always want to skip over it. The Bride of Frankenstein is the first truly great sequel, a film which matches and in many ways surpasses the greatness of Frankenstein. But more than just being a quality film and a stirring continuation of the plot, it reflects back on that first film and enriches the mythology, making the experience of watching both films together more satisfying. Sequels that truly manage to improve the quality of the first movie by providing new insight into previous themes are truly rare: The Godfather, Part II, The Empire Strikes Back and Spider-Man 2 come immediately to mind. To me, this puts Bride in very elite territory, and serves a dual purpose as a litmus test for the greatness of all future sequels. I log reviews for every film I see, when I see them. You can see my main page here. Recent reviews include The Invisible Man and Abbott and Costello Meet Frankenstein.